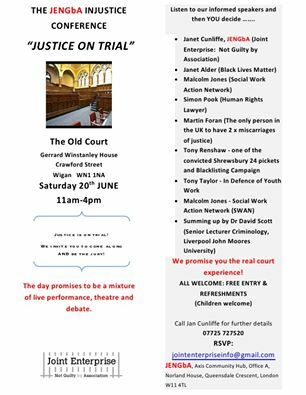 I’ll be speaking at this conference, exploring the injustices visited upon young people under neo-liberalism and the crisis facing a youth work practice focused on social justice. And I’ll close by arguing that the struggle for justice is all our struggle, whatever our age. It would be lovely to see youth workers from Wigan and the North-West there. It promises to be a ‘reet gud do’ as the locals would say.